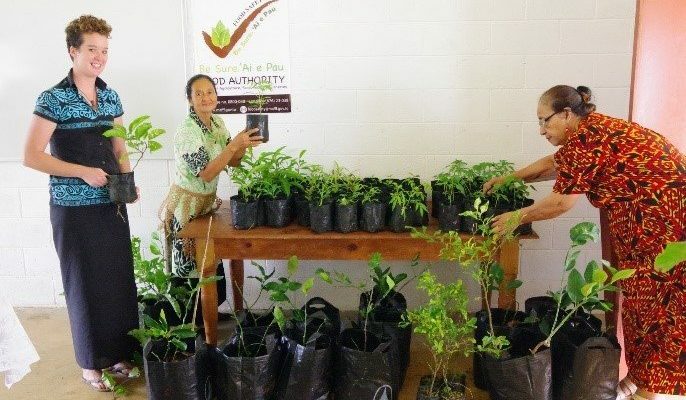 Tonga Skills continues to support the Agricultural sector in Vava’u through practical training in Fruit Tree Cultivation. The training, delivered by the Officer in Charge from the Ministry of Agriculture, focused on cultivation, crafting and tree management. Samples of both long-term fruit trees – such as mango, avocado, orange, tava – and short-term fruit trees, like pawpaw were used as demonstration models. Participants were shown how to intercrop these fruits for sustainable harvesting. There was also a specific focus on the importance of these plants for cultural, environmental and health reasons, with communities encouraged to share the seeds and cuttings that MAFFF provided at the end of the training.